About 1,900 gallons of water in pool. 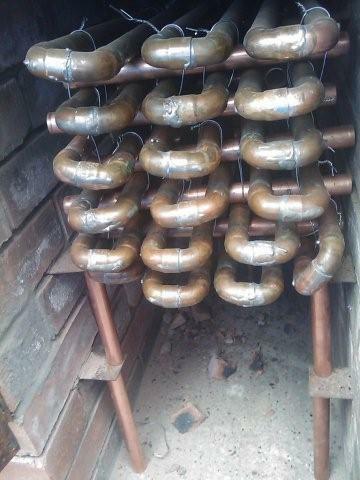 36 lengths of 22mm (3/4) x 2ft so 72ft of 22mm copper pipe. AT 2pm water was coming into pump at 26.2C (79.16F) and out of pipe at 40.2C (104.36F). so thanks again for this simple but brilliant idea. to be safe because such homebuilts can be dangerous.